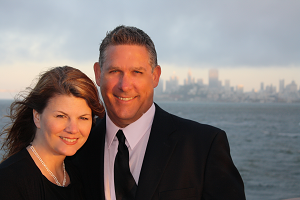 Calvary Chapel Tracy started as a vision in 1999 as I prayed for clarity and direction. I felt the call to become a Senior Pastor, so I left a lucrative management position in the Silicon Valley to start as a College and Career Pastor. We launched a café and bookstore at Cornerstone Fellowship in Livermore. However, I desired to plant a church. After visiting several East Bay cities, the Lord led my wife, Kim, and I to a marriage group in Tracy who had been praying for God to bring a Bible based church to their city. That's when our new adventure in Tracy started. We started as a home study in the summer of 2001 and held our first evening service on September 23, 2001. We launched our first Sunday morning service on Easter in 2002 at Jacobsen Elementary School in West Tracy. And it was that same Sunday that my wife and I discovered God had blessed us with our first of four children after six years of being unable to conceive. The first church baptism was held in Mike and Vanessa Nelson's backyard. Jay Church, Mike Guthrie and Joann McCrea were leading the worship during which Kim felt the baby's first kick. Our Sunday service grew so much that we moved our location from Jacobsen School to Anthony Traina Middle School in 2006. Then in March of 2013, we moved our offices and ministries to our present facility on Gandy Dancer Drive. We began a massive construction project of converting a light industrial warehouse into a sanctuary, lobby, café and classrooms. In January of 2014 we completed construction and began our Sunday services shortly after. In August of 2016 we brought on Pastor Jesús and added a Spanish service. For three years, Kim and I had been seeking God about transitioning out, but we were waiting on the Lord to bring the right Pastor. Then Pastor Alejandro joined our staff in February of 2017. I saw God’s hand on him and through many confirmations knew he was the one to take my place.  I have been blessed to plant Calvary Chapel Tracy and to have served the Lord here for 17 years. I believe God is going to bless His church and grow it abundantly. My wife and four amazing kids are looking forward to our next chapter as we move to Washington State and build a home there. I’m excited to see how the Lord is going to further my passion to equip leaders, share Christ's love with non-believers, and see God’s Word go out all over the world. To find Rob's library of messages from 2001-2018 and to request speaking arrangements, click here. Aaron and Madi met at Calvary Chapel Bible College Europe in the Spring of 2013. They fell in love, got married in January 2015, and lived happily ever after! After attending Bible College, Aaron went on staff as the Associate Pastor at Calvary Chapel Tracy, Ca. in August 2015. During their time in Tracy, the Lord began to develop and confirm the gifts that He had given Aaron; creating an immense desire to teach the Word of God and see people accept Christ as their Savior! Aaron and Madi believe that the Lord called them to Moscow to plant a fellowship that will faithfully teach the Word of God, chapter-by-chapter, and verse-by-verse. They believe that through being devoted to the Word of God, prayer, and fellowship (as seen in Acts chapter 2) that the Lord will bless (and grow) a thriving church.